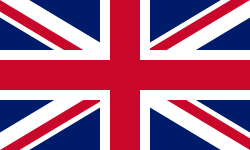 The United Kingdom are one of the most successful nations in Eurovision history, being joint second in the winner’s table with 5 victories, and have also finished 2nd a total of 15 times. They have also hosted the Contest eight times, with 1960, 1963, 1972 and 1984 being the occasions when they hosted it having not won the previous year. They intended to take part in the inaugural 1956 Contest but didn’t submit their application to the EBU in time, and since their debut have participated almost every year apart from one occasion in 1958. The UK is also one of the “Big Five” nations in Eurovision, meaning that they have an automatic place in the Final every year. The UK made their Eurovision debut in 1957 with Patricia Bredin performing the song “All”, where they finished 7th out of 10, and withdrew the following year. They returned in 1959 and scored a far better result by finishing 2nd with the song “Sing, Little Birdie” (performed by Pearl Carr & Teddy Johnson). The 1960’s carried on for the UK where the previous decade left off. All their entries in the decade finished in the top 10, with 9 of them being top 5. They started with two consecutive 2nd place results in 1960 with “Looking High, High, High” (performed by Bryan Johnson), and in 1961 with “Are You Sure?” (performed by The Allisons). They then scored another pair of consecutive 2nd place results in 1964 with “I Love the Little Things” (performed by famous singer Matt Monro), and in 1965 with “I Belong” (performed by Kathy Kirby). In 1967, the UK finally got their long-awaited victory, with famous pop singer Sandie Shaw performing “Puppet on a String”, a song she has since claimed to have always hated. The following year in 1968, the host nation found themselves to be pre-contest favourites with the song “Congratulations”, performed by household name Cliff Richard. In the end, the song finished 2nd, much to the ire of the British press. In 1969, they were one of the four countries who were joint winners in 1969 along with France, Spain, and the Netherlands. The UK’s entry that year was “Boom Bang-a-Bang” (performed by Lulu, another famous pop singer). Like the previous decade, the 1970’s saw a similar run of sparkling form for the UK, with only two finishing outside the top 5 in 1978 (also the only song to finish outside the top 10) and 1979. They started off in 1970 with yet another 2nd place result with “Knock, Knock Who’s There?” (performed by Mary Hopkin). For the 1971 Contest in Dublin, they sent Northern Irish singer Clodagh Rodgers in an attempt to avoid a bad reception from the Irish audience, however she received death threats from the IRA for representing the UK. They scored another 2nd place result in 1972 with “Beg, Steal or Borrow” (performed by The New Seekers). The following year in 1973, Cliff Richard made another Eurovision attempt with the song “Power to All Our Friends”, and after a close-fought battle finished 3rd. In 1975, Cliff’s former backing band The Shadows made their own Eurovision attempt, and finished 2nd with the song “Let Me Be the One”. The following year in 1976, the UK stormed to their third Eurovision win with the group Brotherhood of Man performing “Save Your Kisses for Me”, and is still considered one of the greatest Eurovision winning songs of all time. The 1977 Contest in London ended up being postponed by a month due to a BBC strike. The host nation proceeded to finish 2nd once again, with the song “Rock Bottom” (performed by Lynsey de Paul & Mike Moran). The 1980’s started off well for the UK, in 1980 they finished 3rd with “Love Enough for Two” (performed by Prima Donna). Then the following year in 1981, they scored their fourth Eurovision win with “Making Your Mind Up” performed by the group Bucks Fizz, an entry notable for its choreography where the female singers’ skirts are ripped off to reveal shorter ones halfway through the performance. However after that victory, the UK slipped to a then uncharacteristic run of middling results. In 1988 after a close-run battle, the UK were pipped to 2nd place by one point with the song “Go” (performed by Scott Fitzgerald). The following year in 1989, they repeated that result with the song “Why Do I Always Get it Wrong?” by the band Live Report. The BBC spent most of the 1990’s trying to make a concerted effort to score another Eurovision victory. In 1992 they were pre-contest favourites with famous singer Michael Ball performing the song “One Step Out of Time”, however it finished 2nd in the end, with Ball famously saying he’d rather stick pins in his eyes than take part in Eurovision again. The result was repeated the following year in 1993 with Stock-Aitken-Waterman alumnus Sonia performing “Better the Devil You Know”, only losing out after a close-fought battle. In 1996, the UK thought they struck gold when their selected entry for that year, “Ooh Aah… Just a Little Bit” (performed by Australian singer Gina G) became a chart hit, however after an out-of-tune performance on the night, they scored a disappointing 8th. However the song still subsequently went on to break the US charts, something almost unheard of for a Eurovision entry. After all their efforts, the UK finally got their fifth win in 1997 with American band Katrina and the Waves performing the song “Love Shine a Light”, and in the process became the highest scoring Eurovision entry of all time, a record they held until 2004. The following year in 1998, the host nation scored another 2nd place result after a close-fought battle with the song “Where Are You?” (performed by Imaani). It’s fair to say that since the turn of the century, the fortunes for the UK at Eurovision have taken a dramatic turn for the worse. They have mostly hung around the lower half of the scoreboard, including three last place results in 2003 (where they also infamously scored Nul Points), 2008 and 2010. The only bright spots for the UK results-wise since 2000 have been two top 5 results in 2002 with “Come Back” (performed by Jessica Garlick) finishing joint-3rd, and in 2009 with “It’s My Time” (performed by Jade Ewen) finishing 5th. You need hi Page Rank backlinks to rank in top10. I know – buying them is too expensive.